Being the black sheep must be exhausting. The historic Mission Ranch Resort sits on 22 acres with spectacular views of Point Lobos, Carmel River Beach and the Pacific Ocean. 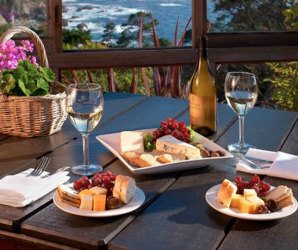 Romantic hotels and inns in Carmel are in high demand throughout the year for weekend getaways and extended vacations. From quaint Carmel Village Inns close to shopping and fine dining to cliffside dwellings with spectacular views, there’s an abundance of romantic accommodations to choose from. Find more lodging options with the Carmel.com Hotels Directory.